It’s not uncommon for people with claustrophobia to avoid flying or completely refrain from it, for the simple reason that an aircraft is considered a closed space. If you are among the many people who suffer from claustrophobia, this program is for you. Many Claustrophobic are flying today thanks to this program. New! Download Fear of Flying iPhone app! Based on the most efficient Audio CD immediate help program available today for overcoming fear of flying. The relaxed flight Audio help program is now available as an iPhone app! New! Fear of Flying iPad app. has helped already thousands of fearful passengers internationally. Huge effort was made in the making of this extremely user friendly unique iPad app. : The footage was filmed in several continents and it is not only extremely interesting but also very helpful. Based on the most efficient course available today for overcoming fear of flying, The relaxed flight help program is now available on DVD! 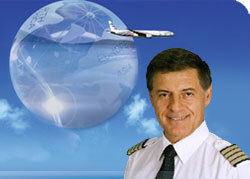 Introduced by Captain Michael Katz, This unique program goes beyond teaching you to cope with the fear of flying. Will improve your confidence instantly! This new Flying with Claustrophobia audio Program includes tips for preparing to your flight, on the flight, and will help you to cope with flying in this big bird and even staying in closed spaces. those who avoid flying because of Claustrophobia. All content on this website is for informational purposes only. This information should not be considered complete, up to date, and is not intended to be used in place of other professional consulting. myFearOfFlying.com provide fear of flying help, fear of flying courses, fear of flying Audio CD, Fear of flying DVD and fear of flying programs to airlines by Captain Miki Katz.